Already a member click here to view all 30 results. I have a new build flat 6 years old on Rowan road I would like a 2 bed with a garden if possible I have a large 1 bed flat bathroom with shower over bath and is a ground floor with Wandle housing association. This property is a flat. It is located in South Wimbledon in merton-greater-london and has 2 bedrooms. and it also has parking outside. This property is a terraced house. It is located in Mitcham in merton-greater-london and has 2 bedrooms. This property has a garden and is disabled adapted. This property is a flat. It is located in Mitcham in merton-greater-london and has 1 bedroom. and it also has parking outside. This property is a terraced house. It is located in Mitcham in merton-greater-london and has 2 bedrooms. This property has a garden, loft storage and it also has parking outside. This property is a flat. It is located in Mitcham in merton-greater-london and has 1 bedroom. This property has a driveway for parking vehicles and it also has parking outside. This home comes with a Secure tenancy with no age restriction. This home benefits from the following features: Garden, Parking, Central heating, Double glazing and Pets allowed. This property is a terraced house. It is located in Mitcham in merton-greater-london and has 3 bedrooms. This property has a garden and it also has parking outside. seperate living and dining room. close to doctors and shop. school in walking distance. I'm looking for a 3 bedroom house in Mitcham / Morden or surrounding nearby area. I have a 2 bedroom house split level with front & back garden. New Doors, windows, Kitchen, bathroom & wood flooring in the sitting dinning & corridors. New Roof recently done. The house is situated near to shop, supermarket & public Transport. This property is a terraced house. 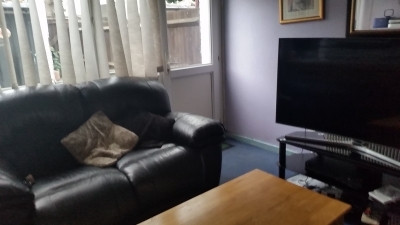 It is located in Mitcham in merton-greater-london and has 3 bedrooms. This property has a garden This property has a driveway for parking vehicles and it also has parking outside. 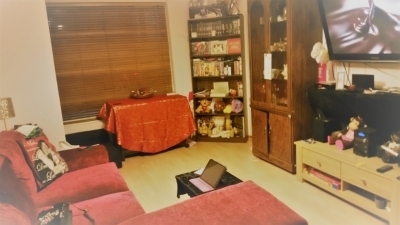 I have a lovely 1 bedroom flat in a house with 3 other flats,close to schools transport and main high streets.It has a spacious living room nice size bathroom kitchen aand bedroom looking for a swap for a 2 bedroom. A ground floor flat all on one level with a small garden. Great access to tramlink,trains and buses. It is 5 mins walk from morden hall park and Deen city farm. This property is a terraced house. It is located in Mitcham in merton-greater-london and has 2 bedrooms. and is disabled adapted.